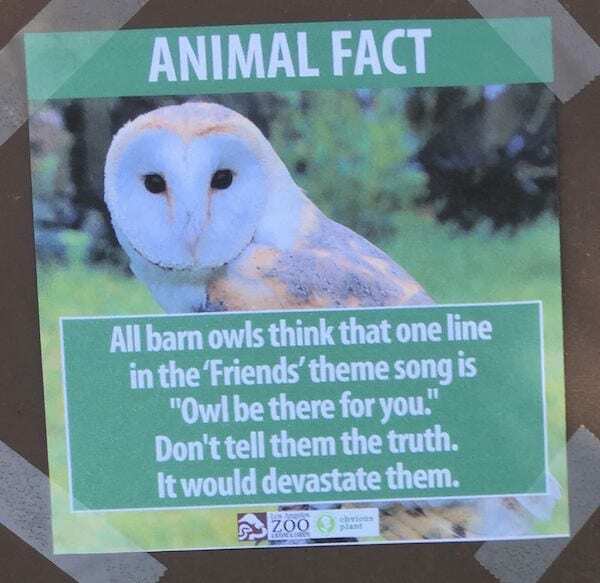 The zoo always makes for a great day out, and a comedian from California decided that he could make the day even more fun. His name is Jeff Wysaki, and he has a Facebook page called “obviousplant,” which documents all the great pranks that he does. The latest one involved the L.A zoo, and things got hilariously educational thanks to him! His joke involved the signs at zoos that are placed on the cages or enclosures of the animals there. 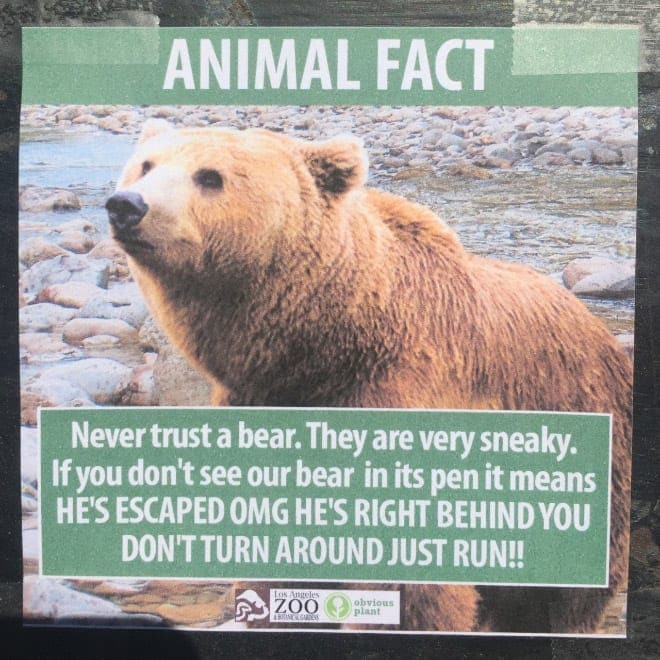 These signs are extremely informative and provide insight into the eating habits, lifespans, and other relevant information about the animal for the spectators. 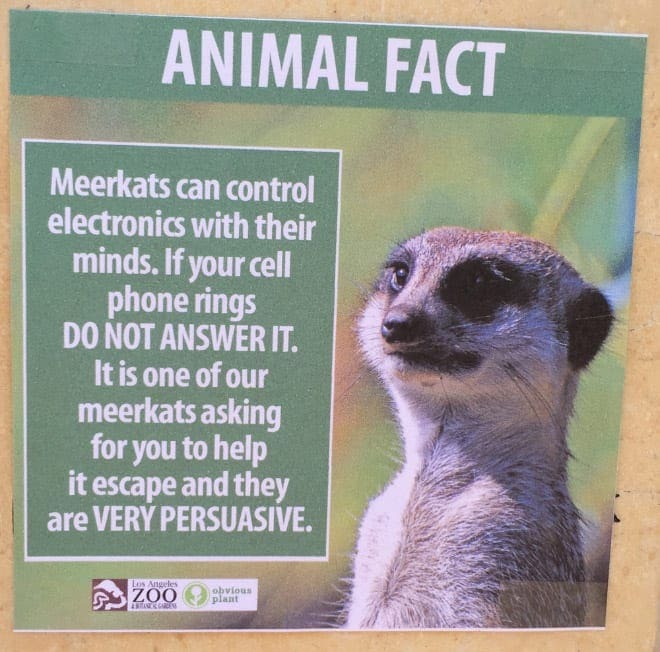 So, Jeff Wysaki decided to spice things up a bit and rework these educational plaques around the zoo. He had signs printed and made to replace these with those he had made himself. 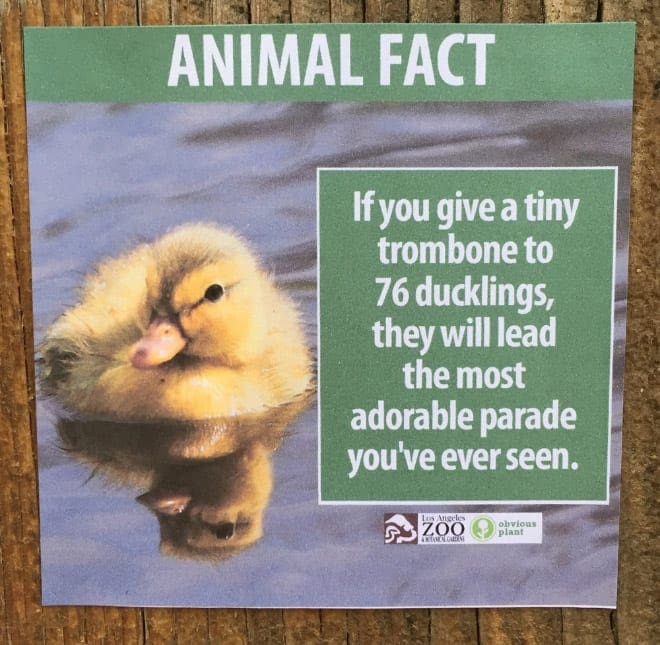 The animals that he did this to were the ducks, owls, penguins, meerkats, gibbons, and bears – just to name a few! People seeing these signs would have certainly had a good laugh at the things he had written. We aren’t sure about how many people got to see these entertaining signs, but there was a divide between those who did. There were some that supported his clever prank and others who did not seem to find it humorous at all! So, what was the penguin fact? It said: Penguins appear to have tuxedos because they are slowly evolving into 1920s business tycoons. In 30 years they’ll have monocles. In 60 years, disdain for the poor. Keep your eye out for more work from this prankster – you never know where he will strike next!